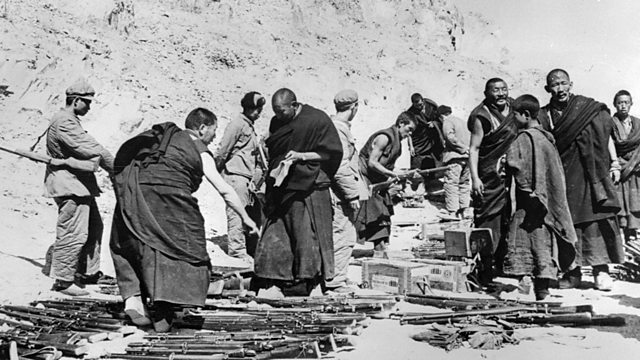 In 1959 the people of Tibet turned against Chinese occupying forces. Their spiritual leader, the Dalai Lama, escaped across the border to India. A shortlived battle for independence followed. Photo: Tibetan monks surrender their arms to members of the Chinese army (April 1959). AFP/Getty Images. Will China's new leaders change Tibet policy?